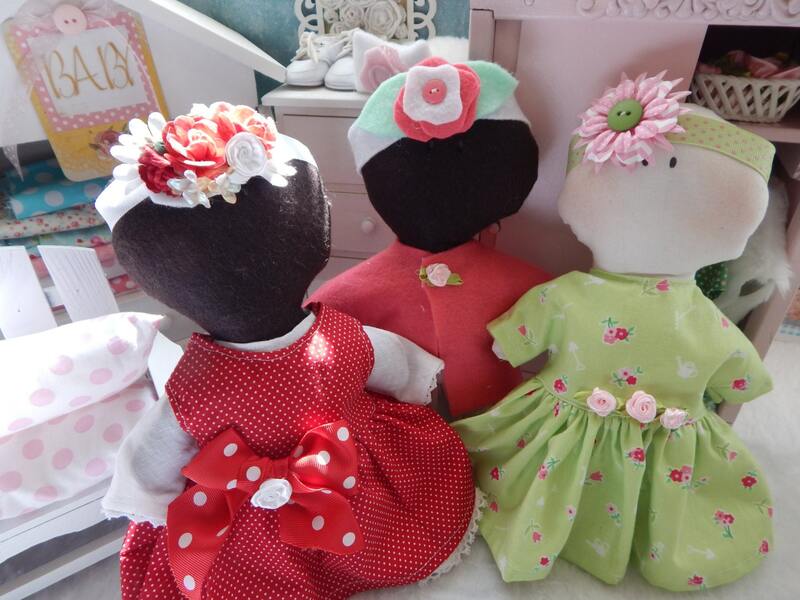 Sweet little felt baby doll is so easy to make! The one pattern piece is easily printed off on a 8 1/2" x 11" piece of copier paper. This pattern is an instant download once transaction has been completed. 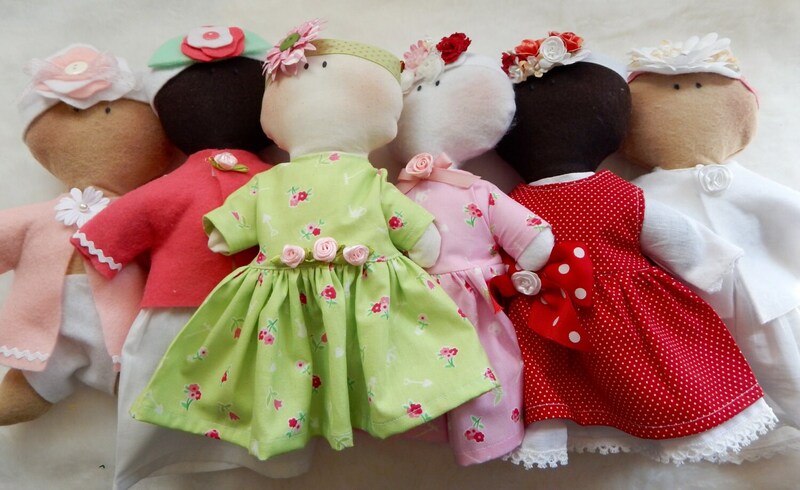 You will receive this full color 20 page pattern to make a precious little Feltie baby doll and clothes. Simple patterns, simple directions, cute fabric is what makes this an easy sewing pattern. Pictures to help you along the way. 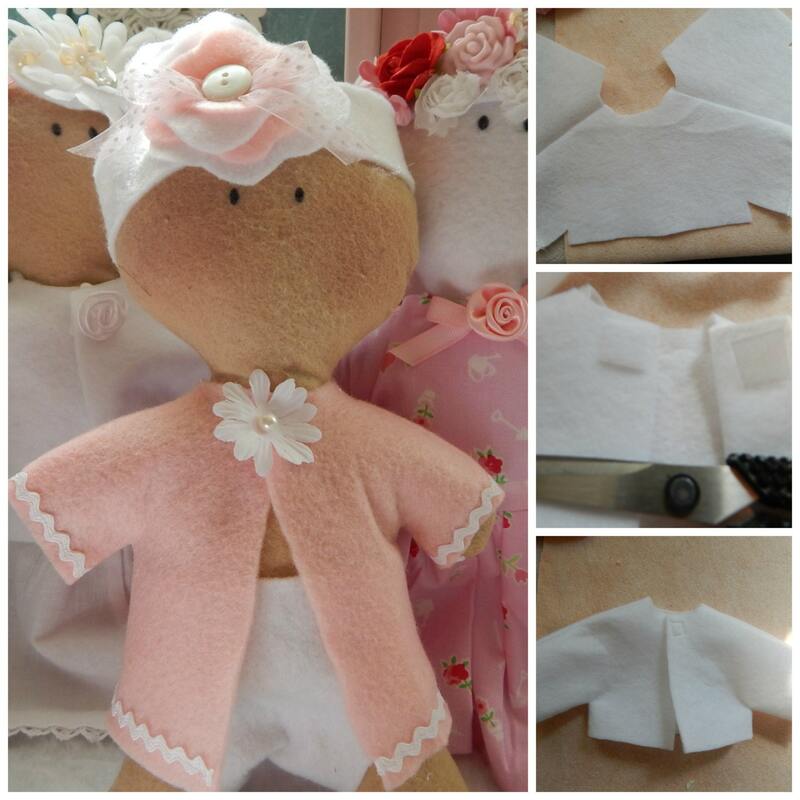 I've made doll clothes all my life, and with that in mind, made this pattern to be very very easy. Even if you are a beginner seamstress you can make this pattern. The doll is the easiest part of the pattern. Simple eyes drawn on with a black sharpie marker, I show you how to make her face even sweeter with a few simple instructions. Make the dolls in a variety of colors. Once I made one, I had to make more. They were so easy and so sweet. Since the PDF instruction and photo file is 20 pages you will receive the pattern pieces in a second file to be printed out on your copier, or sent to a Copy Store like Staples or FED Ex Office. This would make a great little gift for Christmas or a birthday or special occasion. This is an instant download pattern. You will not receive any patterns or dolls in the mail. You must be familiar and have a working knowledge of opening up an email to get the pattern, receiving and opening a file on your phone, IPad and or computer. Please do not buy if you do not understand this! Or ask someone to help you-it is an adorable pattern! As a child my mom made me many little dolls, doll blankets and quilts. I feel like it helps encourage quiet play time, nurturing and loving tendencies in a child early on. My daughter played soccer and played with dolls. She was sweet and tough and a good mixture for a young girl. Not that dolls do all of that, but I feel like a child holding something in their arms and being taught to be tender is always a positive start. This pattern is perfect for a small child as there are no buttons or embellishments on the actual doll to pull off or put in their mouth. The clothes can be made with child safe closures like velcro instead of buttons if you desire. However I have shown you how to do both. This doll takes about 1 hour to make from cutting out, to stitching, to turning right sides out, stuffing with polyester fiberfill, stitching closed, and using the Sharpie to draw the eyes on. Very Very simple, and so sweet and adorable. 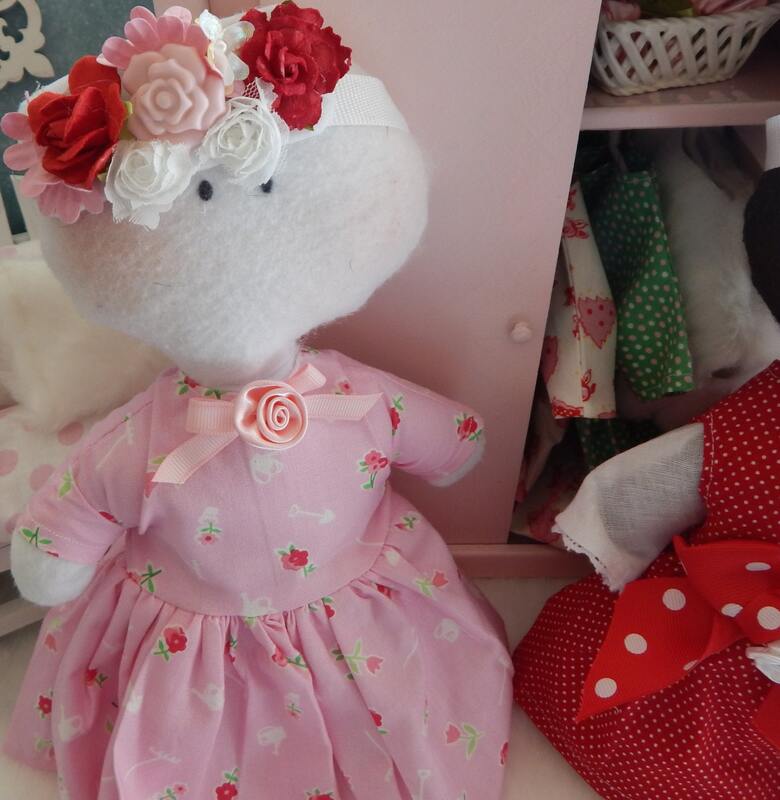 I hope you enjoy making my little newborn dolls as much as I did creating and dressing them! Gorgeous little doll, so sweet.